Visit any high-end neighborhood and the pet amenities, services and businesses around town send a loud message – dogs and cats aren’t property, they’re family. From pet spas and pedicures to therapy and play rooms, the trend of luxury pet services seems to be growing across the country. Marana is no exception – and The Ritz-Carlton Residences, Dove Mountain, have always been pet friendly. Here are some of the top pet services in and around Marana. Royaile Kennel – For doggie day care or overnight boarding, this family owned and operated business is a favorite among locals. Dogs and cats can be boarded for $24 and $14 per day, respectively, with discounts for multiple pets. Your pets will have plenty of room to roam about the garden with no interference from other animals on the premises. 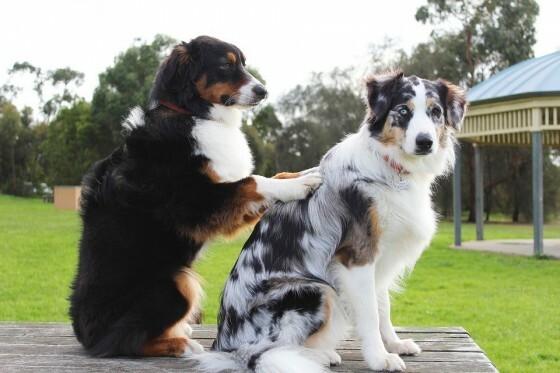 The owner has over 40 years of experience in the pet care industry along with pet first aid and CPR certification. Camp Bow Wow – As a full-service boarding facility that includes grooming and training services, Camp Bow Wow is one of the safest and most fun places for your pooch to visit in Tucson. From large indoor and outdoor play areas to individual “cabins” equipped with cots, pets will have custom care from the moment they step paw through the door. Acoma Animal Clinic – Dr. Livingston comes highly recommended by Tucson pet parents for his thoroughness and patience. He provides his clients with every detail in order to give them peace of mind. Acoma is straightforward in their pricing and flexible for last minute appointments. Continental Ranch Pet Clinic – Dr. Stratton has been practicing veterinary care for 30 years and employs a staff of equally qualified team members. Not only does she care for dogs and cats but other small animals likely to be found in a Tucson family home. Professional, friendly, and affordable—Marana residents would do well to bring their fur babies to Continental Ranch. Happy at Home Pet Sitting – Carol offers personalized services to clients who prefer to leave their pets in the comfort of their own homes. She offers free meet and greet services and sends daily updates to assure the dog or cat parent that all is well. Happy Tails Pet Services – If experience is the highest priority when finding a pet sitter, Happy Tails will fit the bill. They bring over 20 years of expertise to the greater Tucson area with a wide range of animal companions who offer dog walking, overnight sitting, special needs care—even VIP services like the bed and breakfast special. With Marana’s gorgeous scenery and year-round temperatures, it’s no wonder dogs join their humans at nearly every social outing. Whether they’re welcomed into a place of business with a water bowl out front or pampered while their owners travel, man’s best friend will always have a home in Marana. Contact us to view our luxury Dove Mountain homes for sale today.